Good food and beautiful totes were on the agenda Saturday. 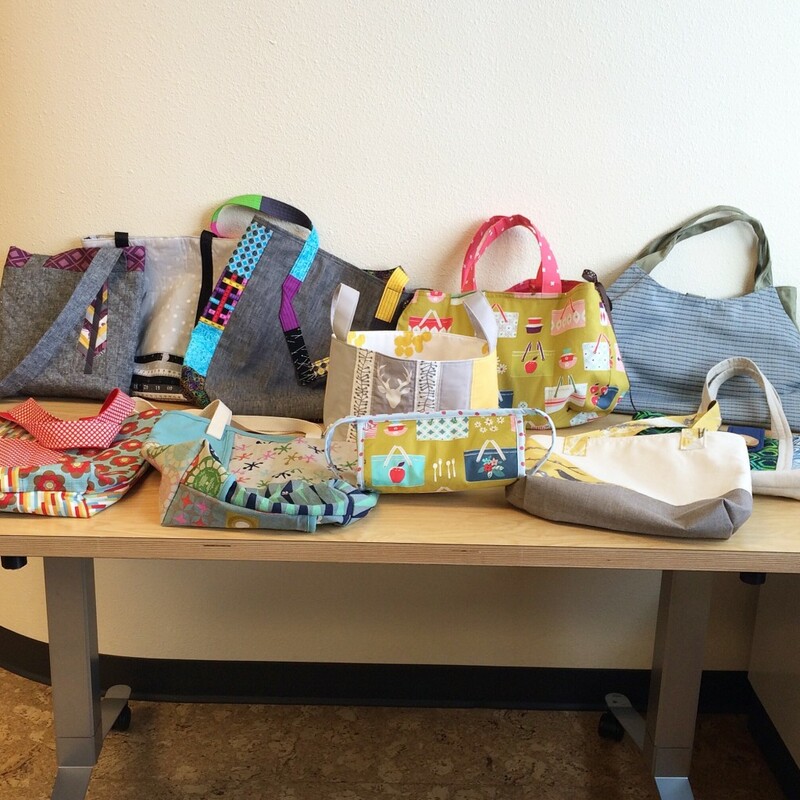 During our annual After-Holiday party 10 members exchanged handmade bags and it was amazing to see how much variety and talent there was. Thanks to everyone who made it so much fun! 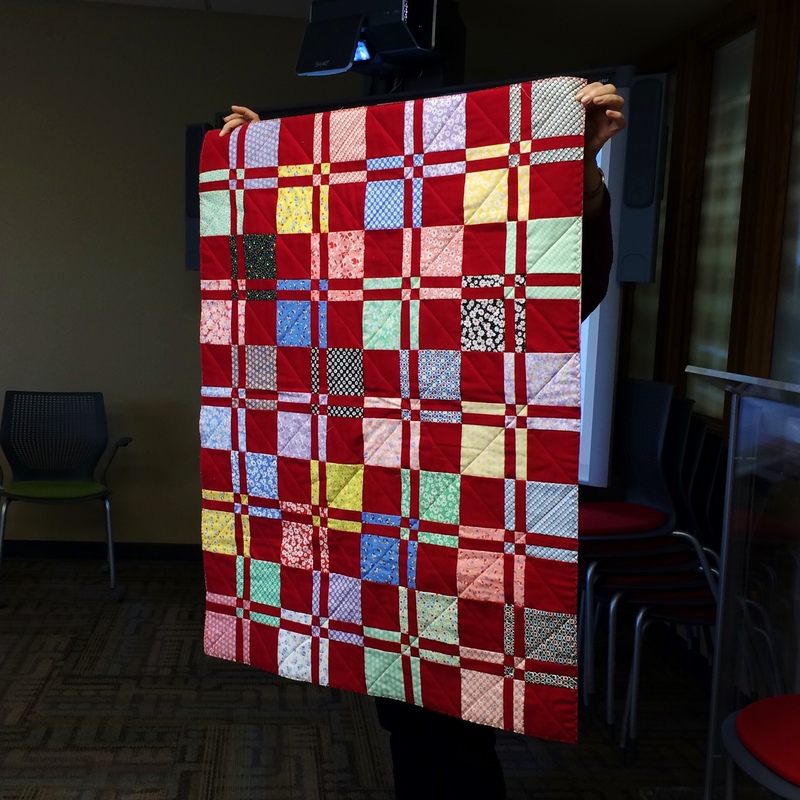 We also had a few members bring some quilts to share. This month Kathleen Probst will be speaking to our group. Kathleen is a self-taught artist and has been exhibiting her work in national exhibitions for the last 3 years. 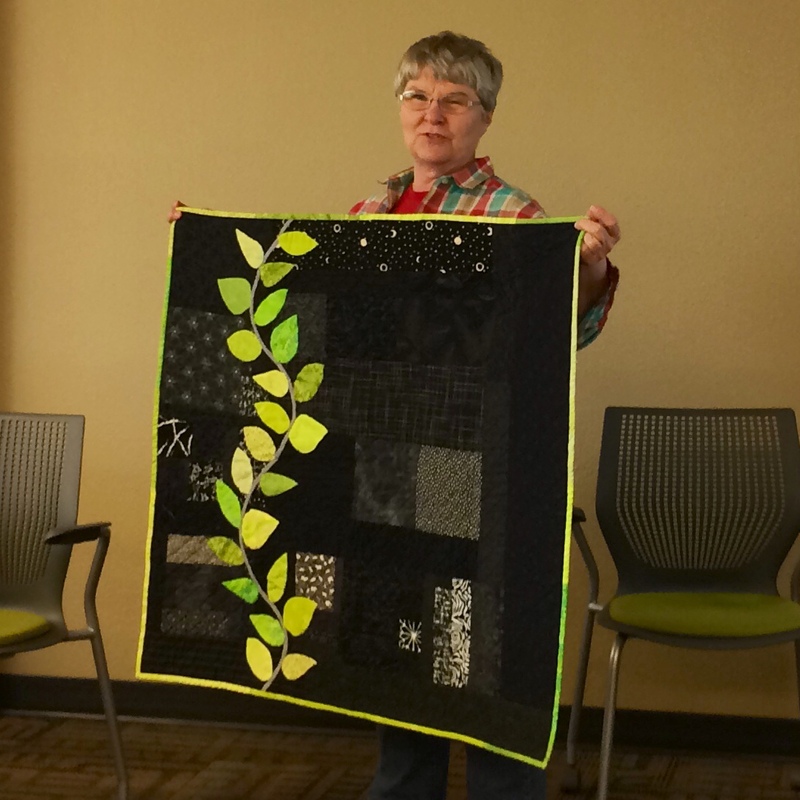 While teaching high school mathematics, Probst discovered art quilting and found the freedom to create her own compositions. She works in her home studio in Meridian. 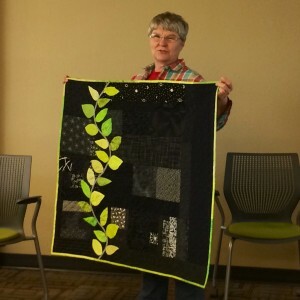 At our meeting she will describe her journey toward minimalism and bring quilts to share. Check out her website to learn more about her work. If you are participating in the mini quilt project, this is the month we are machine quilting our projects. 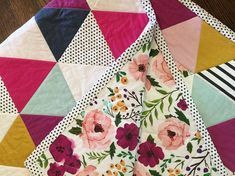 If you haven’t started yet, its not too late – check out the Pinterest board with Mini Quilt inspiration to help you find some great ideas. Check it out here. In July we’ll bind them. 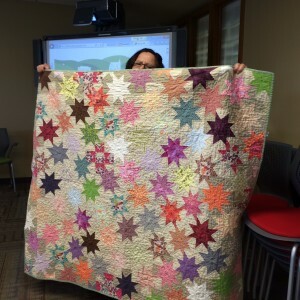 As always, please bring your completed projects and your BOM to share with the group. 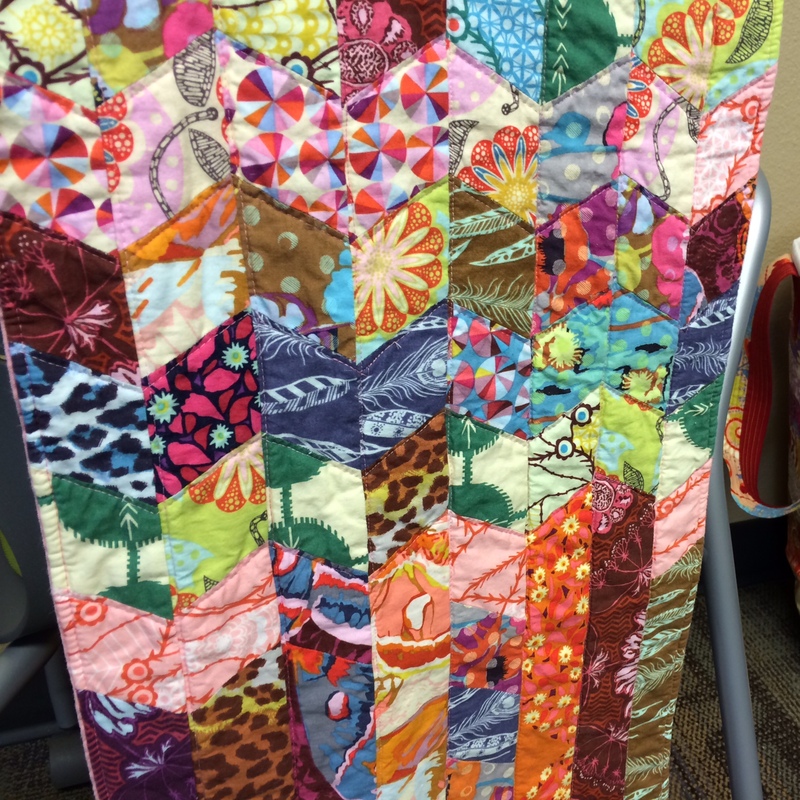 We had our own little QuiltFort going on during our March Sew Day, with lots of creativity on display! 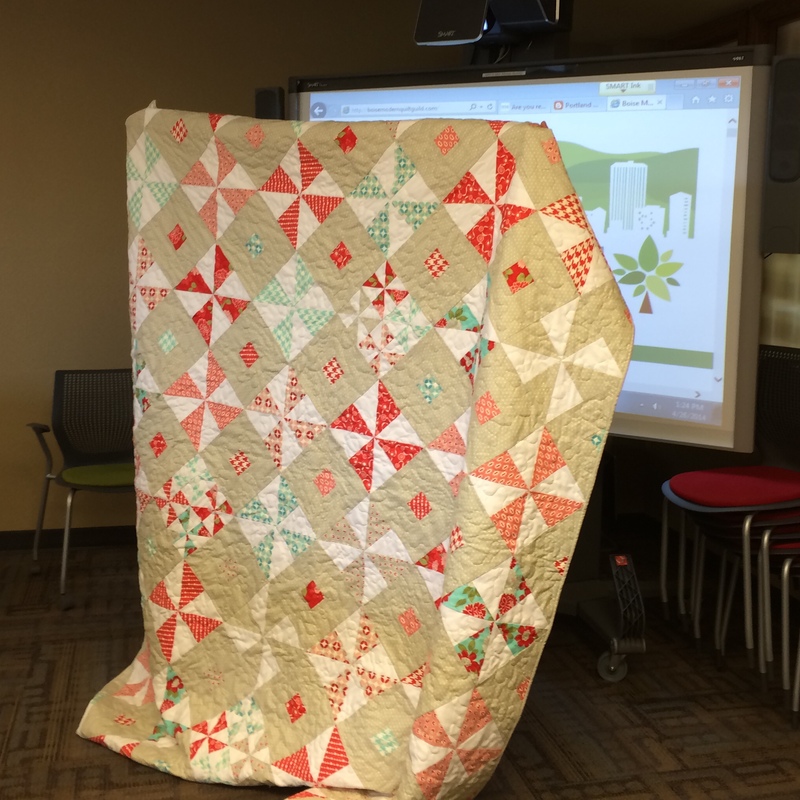 Many members showed off their completed items and we made lots of progress on the projects we brought to work on. We had a great meeting this month! We had several visitors who came to check out the guild as a result of the Idaho Statesman article that ran last Thursday. We even had three new members sign up – including our first junior member. Two members brought their completed projects for the Michael Miller Fabric Challenge. The challenge ends this month! 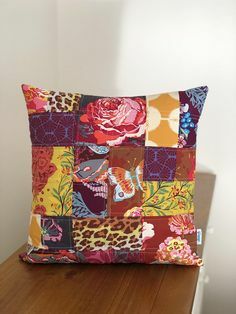 Pillow back with hidden zipper. We had lots of people bring projects to share and a very energetic sew day afterwards. Check out all the great projects! Look at those great colors! This will eventually become a clock. 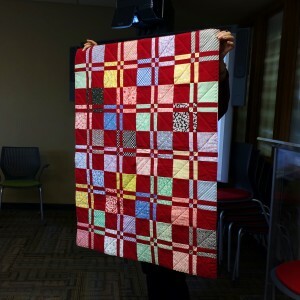 A bright quilt composed of “block of the month” blocks. 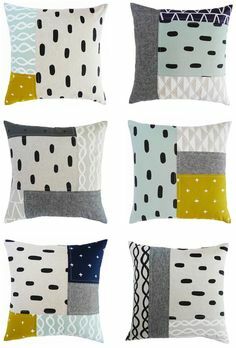 Made with one of the monthly Modern Quilt Guild patterns. Mini quilt created for a swap. Recognize those hills? 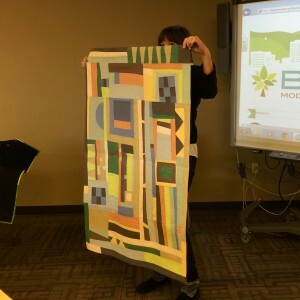 They are from the BMQG logo and will be part of the banner quilt. Check out our new junior member and her mom! Close up of embroidered bag. A banner made by one of our guests for a friend.